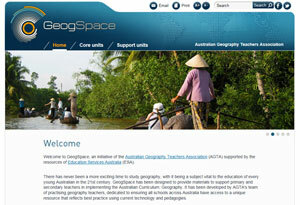 The GeogSpace website, an initiative of the Australian Geography Teachers Association (AGTA) supported by the resources of Education Services Australia (ESA), is now live. AGTA thanks all members of the writing and development teams for their outstanding contributions to this resource which will support the teaching of the Australian Curriculum: Geography. AGTA will be running special professional learning programs to support teachers in their use of this wonderful new resource. Further information about these programs can be obtained from AGTA Chair Malcolm McInerney. There has never been a more exciting time to study geography, with it being a subject vital to the education of every young Australian in the 21st century. GeogSpace has been designed to provide materials to support primary and secondary teachers in implementing the Australian Curriculum: Geography. It has been developed by AGTA's team of practising geography teachers, dedicated to ensuring all schools across Australia have access to a unique resource that reflects best practice using current technology and pedagogies. GeogSpace offers quality primary and secondary geography resource materials for all teachers of geography, including those that are very experienced and those just commencing their involvement. The materials will support teachers to develop their knowledge, skills and pedagogical capacity to teach geography of the highest quality. GeogSpace comprises two major resource sections, Core units and Support units. The illustrations are designed to provide classroom-ready ideas and resources that reflect the dynamism of this exciting learning area. Each illustration is linked to the Australian Curriculum: Geography and provides opportunities for students to actively engage in learning, whether it be through undertaking class research, practical activities, field investigations or through taking local action. The Asia Education Foundation (AEF) enables educators to develop Asia literate young Australians. AEF supports teachers, principals, education leaders and school communities to implement the Australian Curriculum cross-curriculum priority of Asia and Australia's engagement with Asia. Mountains to Mangroves Program for Senior Geography Students. fieldwork for Theme 3 – focus Unit 6 Sustaining Biodiversity. The excursion follows the route of the Mountains to Mangroves Wildlife Corridor from the D’Aguilar Ranges through to the mangroves at Nudgee Beach or Boondall Wetlands. The corridor includes the catchments of Albany Creek, Cabbage tree Creek and Downfall Nunda Creeks. 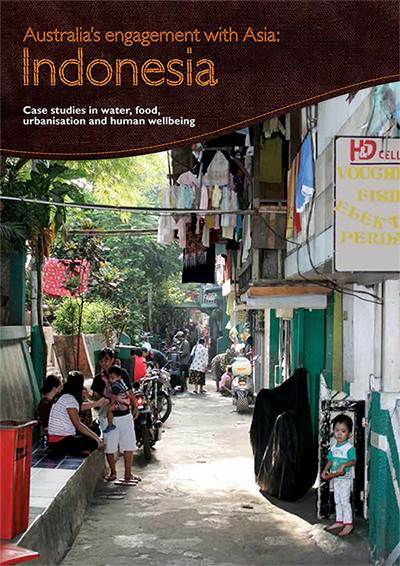 It explores the issues surrounding Wildlife Corridors including real life management problems in an urban setting. Teachers can book or find information on line by visiting the Bunyaville Environmental Education Centre website or for more information ring 3353 4356. Download the GTAV Busfire resource free. in coastal and urban areas and have little experience of bushfire. This includes those living on the rural-urban fringeundefineda place where bushfire can have deadly consequences. An effective fire management strategy, supported by ancillary services and trained volunteers, can succeed in minimising the loss of life and property in a bushfire crisis. In Australia, a strategy has been developed where people are informed about the ways to prepare for bushfire, how to take precautionary action and how to respond in a manner that reduces the impact of a bushfire event. Arab Gateways: A resource for Australian students and teachers explores some of the history, geography, economics and cult ure of the Arab region. It promotes understanding of the cultures, values, beliefs and diversity of peoples of the Arab region. 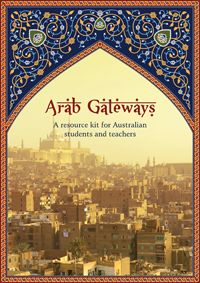 The Arab Gateways website provides an online version of the printed resource book with accompanying DVD ROM sent to all secondary schools in Australia. A teacher professional learning program to support the use of the resource will be delivered by the Australian Federation of Societies for Studies of Society and Environment (AFSSSE) during the second half of 2011 and early 2012. For more information, go to the Arab Gateways Flyer. The GTASA has recently launched a new resource to work with GIS in the classroom. The book is called "Taking GIS to the classroom" and is available from the GTASA for $35 for members and $85 for non-members. The resource is ideal for teacher and student use as an attractive and easy to use reference resource to learn about geographic information systems!! Data and learning videos are supplied on a CD with the book! Download the order form here. Download Stuartholme’s Year10 Geography Parks project: Annotated Visual Display URBAN PARK DESIGN CONCEPT PLAN. Get the full 13 page pdf lesson and teaching outcomes!